To answer this question you must find out the reason why the powerful diesel engine has stopped running. As a rule, engines trucks "capricious" very rare, unlike the engines in passenger cars. How do you set the ignition. - patience and ingenuity, and technical literacy. 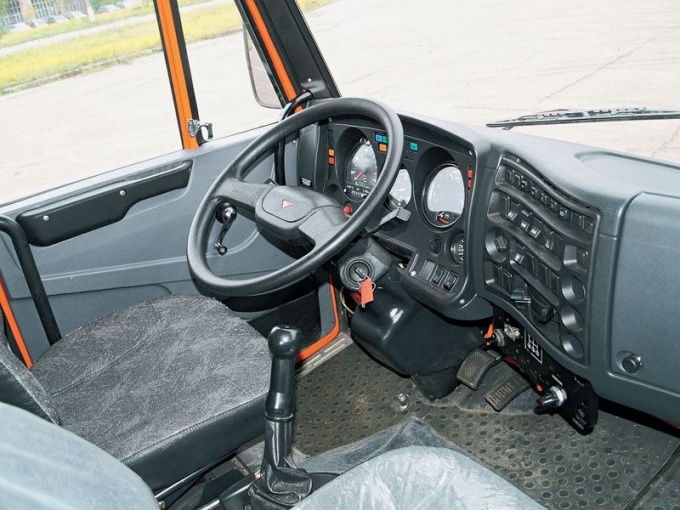 If the power plant of KAMAZ will not start because of a discharged battery should charge. Restored the density of the electrolyte in the battery will provide the necessary starter to start the engine with energy. In cases when problems with the motor appeared after changing the fuel filters, before turning the key in the ignition system of training of diesel fuel definitely pumped. To remove the air injection pump to alternately open the two bleed, and using the hand primer pump diesel fuel is fed into the fuel pipe until then, until the fuel flowing from the fitting holes, no air bubbles. Lowering the cab, and snapping it into position clips, behind the wheel, completely pressed pedal of "gas", and then turn on the starter. When the engine starts to "catch" the revs and working properly, the throttle has consistently held down, and only after the engine will respond with all its might, to develop momentum, it is released. If engine start is produced during winter, in frosty weather, with the car previously removed the air filter element. Then at the time of switching the starter to the intake brought the burning torch, and the engine, having made two or three turns of the crankshaft will start not paying attention to the ambient temperature.